Peppermint offers benefits to the respiratory system, including for coughs, colds, asthma, allergies and tuberculosis. Inhaling the peppermint aroma may offer memory enhancement and stress relief. Peppermint essential oil can even be used topically for pain relief, hair and skin care, fresh breath and toothpaste. The peppermint herb is loaded with nutrients and provides numerous health benefits. Peppermint is readily available in grocery stores and you can buy its fresh leaves and mix them into salads or soups. Drinking peppermint tea is an easy way to incorporate this nutritious herb into your daily diet. Relief for Irritable Bowel Syndrome – Numerus studies show that taking enteric-coated peppermint oil capsules relieve symptoms associated with IBS such as gas, diarrhea, bloating and pain. (the coating on these capsules prevents the heartburn and indigestion that may result from peppermint oil being released in the stomach) Peppermint relaxes the smooth muscles around the intestines, decreasing the chances of muscle spasms and indigestion. Respiratory Benefits – Peppermint oil acts as an expectorant and decongestant, and may help clear your respiratory tract. Use peppermint essential oil as a cold rub on your chest or inhale it through a vaporizer to help clear nasal congestion and relieve cough and cold symptoms. (See Hummingbird Creations Peppermint Aromatherapy Oil). 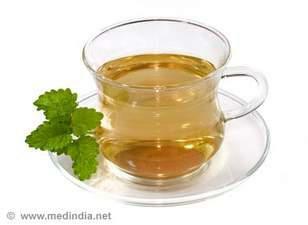 Cold and Flu Remedy – Peppermint is commonly used in cold and flu remedies. Studies have shown that it kills bacteria and viruses. It also has a calming and numbing effect as it dulls the pain of an aching body. 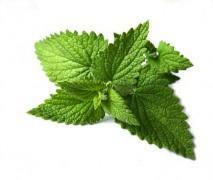 The menthol in peppermint effectively thins mucus and breaks up phlegm. It provides relief from coughs and congestion, and is a common ingredient in decongestants, as well as in formulas in rubs used on the chest to relieve chest aches experienced during colds and the flu. Skin Remedy – Peppermint herb is highly effective in topical creams used to treat a variety of skin issues. Examples include treatments for hives, rashes, poison oak or poison ivy. When applied to the skin these ointments helps calm itching and have a soothing and healing effect. Protection Against Cancer – The link between peppermint and anti-cancer effects is still under research. A phytonutrient in peppermint has shown to stop cancerous tumors from growing in animals. These are tumors in the pancreas and liver which are generally more difficult to cure. Protection against cancer using peppermint in animals has also been observed in the lungs, colon and skin. Stress – Peppermint oil is cooling and energizing. Add a few drops to your bath or use Hummingbird Creations Peppermint Spray directly on your body after showering, for near-instant stress relief. Given its powerful ability to soothe and heal think about incorporating peppermint herb into your diet and look for it as an ingredient in medicinal remedies. The essential oil is ideal for muscle and chest rubs, headache pain, (See Hummingbird Creations Roll-On Headache Relief, dental care and aromatherapy. You can add it to your homemade cleaning supplies for extra antimicrobial power and natural fragrance. ← Celery Seed for Weight Loss? Arthritis? Joint Pain? Gout?